With most of the people being exposed to these substances on a daily basis, the damage caused to their DNA can be reprehensible sometimes. ​and in some cases, fatal too. What is worse is that these health effects may also travel from generation to generation leaving your kids vulnerable to further DNA damage. Yes, there is. The DNA damage can be repaired to some extent with certain foods, which if made a part of your daily diet, would protect you from such factors that damage your DNA. 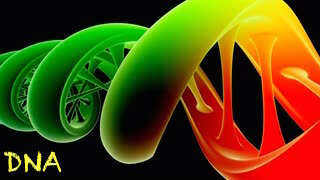 The enzymes present in raw foods help the DNA repair themselves. However, ironically, you cook the food, heat it, re-heat it, and in the process, the enzymes are destroyed. Therefore, to feed enzymes into your system, you need to eat the food raw. The added benefit of consuming raw foods is that besides the DNA, the enzymes also help heal and nourish other body tissues as well as organs. Chlorella is an algae rich in chlorophyll and it helps the body to dispose off such substances as dioxins, pesticides, and heavy metals from its system, so that there is no chance of damage being caused to the DNA. There is research-based evidence that chlorella is instrumental in saving your DNA from damage and it also repairs the damage, if already caused. You can start having chlorella by adding a teaspoon of it to your glass of juice or smoothie every day. Okay, this may not sound appealing at first, but wait till you read about the anti-inflammatory properties of the Peruvian cat’s claw, which is also used to cure arthritis and cancer. Cat’s claw cleanses your intestinal track, keeping toxins at bay, thus saving your DNA from damage. In addition, the herb (yes, cat’s claw is a herb, not actually a cat’s claw!!) also works a significantly to improve the repair of damaged DNA. Cabbage (especially raw) and other cruciferous vegetables are key to DNA repair owing to the fact that they contain folate, indole-3s, and sulforaphane. While folate is a good substance to repair DNA and body cells, indole-3s, according to researchers, increases production of BRCA1 and BRCA2 proteins in the body. These proteins are instrumental in repairing the damaged DNA. Sulforaphane increases body’s production of phase-2 detoxification enzymes. Since you cannot avoid the factors that cause harm to your genetic composition, it is important that you eat these foods on a regular basis, so that, at least, you can repair the damaged DNA and save yourself from several health problems. ​Once you're aware of these chlorella facts, you'll agree that it is one of the best green superfoods around. The most important chlorella facts you should keep in mind are the ones presented in this article. It would actually require an entire book to fully cover this most naturally detoxifying of live superfoods! The health benefits of chlorella are available when it is consumed on a daily basis like a food and not in miniscule doses like a whole food supplement as some people might advocate. The type you consume will also need to be cracked cell chlorella so that the nutrients are available through its hard cellulose walls. Chlorella is a green algae. highest source of chlorophyll is chlorella! Research on the health benefits of chlorella have led it to be used in naturally detoxing people from radiation exposure, heavy metal poisoning as well as chemical toxicity from various pesticides, herbicides, fungicides etc. The mental clarity and memory improvement effects of chlorophyll alone make it a worthwhile addition to anyone seeking lifespan development. These effects mostly occur from blood purification. Chlorophyll is identical to human hemoglobin (which is the substance that makes up most of a red blood cell) in molecular structure except for the central atom. In chlorophyll the central atom is magnesium whereas in hemoglobin it is iron. When we consume the chlorella algae we get a massive dose of "plant blood" which through biological transmutation, turns into our own blood. This makes all green superfoods ideal for anyone with blood issues of any kind or who simply want to attain peak performance and extend their human longevity potential. Of all the known chlorella facts, perhaps the most well-known is its renowned ability for detoxing your body. ​In particular, this cracked cell chlorella algae is used all over the world by health professionals to help remove heavy metals such as mercury and cadmium from the bodies of patients showing signs of heavy metal toxicity. In Japan, the chlorella facts are so convincing that it is popularly consumed in whole food supplement form because of the country's history of exposure to nuclear radiation. Also, of all the wide variety of protocols available on safely removing mercury amalgam fillings, the majority of them include the consumption of chlorella before and after removal. Chlorophyll literally soaks up residual mercury in your body and it then eliminates it through your lymph system (by sweating) and your bowels. The chlorophyll in chlorella benefits and cleanses the liver, which is the chief organ for detoxing your body on a daily basis. If your liver is functioning at its optimal level, it will speed up the process of detoxification from the myriad of poisons we come in contact with on a regular basis. The chlorella facts have shown this. Even if you eat all organic food and live far away from any major cities, you are still exposed a wide variety of environmental toxins. DDT has been found in the tissues of penguins at the South Pole, jet fuel has been found in the breast milk of the native aborigines in the Australian outback (thousands of miles from "civilization") and depleted uranium has been used in the recent war in the middle east, which is now spread throughout the atmosphere. Everyone lives in this toxic world and all of us can do our best to avoid as much of it as possible through organic and all-natural living, but you must also recognize the health benefits of chlorella and other raw living foods when used for their ability to detox, cleanse and protect your body. All of these chlorella facts make it one of the most powerful weapons in your live superfoods arsenal. quality presented in chlorella facts and research. The chlorella algae is the fastest growing food crop known to humans. Under the right conditions it has the ability to quadruple in volume every 24 hours! This ability seems to be passed on to anyone that consumes the cracked cell chlorella algae. However, I don't literally mean that people start growing in size at rapid rates. Rather, some of the amazing health benefits of chlorella growth factor include: greatly increased rate of tissue growth and repair (great for athletes! ), immune system enhancement, free radical scavenging and it speeds up the growth of friendly intestinal bacteria(resulting in improved digestion and an increased ability to absorb nutrients in your longevity diet). Chlorella, spirulina and blue green algae have all been found to be potent cancer fighters. In particular, the chlorella growth factor makes this the most desirable ally to have when fighting or recovering from any degenerative disease. The chlorella facts and research point towards it being particularly effective in the treatment of cancer, especially if you have made the choice to undergo chemotherapy (which is a massive toxic assault on your entire body). Detoxing your body with cracked cell chlorella is the first step in dealing with any diseases that have reached this critical level. The polysaccharides in the cell walls of the chlorella algae have been shown to increase interferon production and have strong anti-tumor effects according to many of the studies coming out of Japan. Another important ability found in the myriad of chlorella facts is how well it rebuilds nerve tissue. Damaged nerve tissue is a component in many debilitating diseases such as multiple sclerosis, seizures, Alzheimer's, sciatica, Parkinson's and more. Mercury poisoning is specifically known to cause nerve damage by destroying the myelin sheath around nerve cells. Chlorella benefits this by first pulling mercury out of the body (which may or may not be implicit in the above mentioned diseases) while at the same time the chlorella growth factor then stimulates the bodies own innate ability to repair its own damaged nerve tissue. Nerve repair can happen whether or not there has been mercury contamination present in the first place. However the rapid rise of these diseases in recent decades indicates a hidden cause that is thought by many to be due to mercury poisoning along with other lifestyle factors and not the old scapegoat of genetics. Chlorella facts have also shown that it contains the essential fatty acids necessary for building and repairing nerve and brain tissue. Individual chlorella algae have tough indigestible cellulose walls, so it's important for you to only purchase cracked cell chlorella. Looking at the chlorella facts on nutrition shows you that this is one of the most complete foods on the planet, as all live superfoods should be. All of these amazing chlorella facts are based upon cracked cell chlorella that is organic, non-pasteurized and not freeze-dried. If you buy a brand or variety that is contaminated or damaged (due to high heat or extreme cold) the chlorella benefits simply won't be as optimal, most notably the essential fatty acid content is very susceptible to extreme temperatures as well as oxidation. You don't want to lose the benefits of nutrients such as the GLA (which inhibits excessive cell division, which is the case in tumor growth). 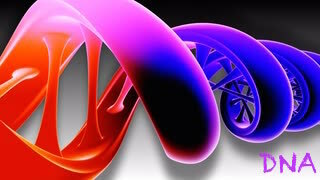 ​for lifespan development is its high content of DNA and RNA. Our bodies require nucleic acids (RNA and DNA) for directing cellular growth, renewal and repair. ​The human body's ability to repair its DNA and RNA with nucleic acids diminishes with age. In fact, a lack of nucleic acids speeds up the aging process as well as weakening immunity. Getting a source of these building blocks for genetic repair is definitely a major key to winning the longevity game. Did I mention that chlorella facts have also shown that the RNA and DNA it contains will make your skin more elastic?! Many centenarians that are questioned about their diet for longevity happen to eat a lot of foods high in nucleic acids like sardines. However, the health benefits of chlorella algae indicate that it is a much better and safer source for DNA and RNA than sardines or other organ meats. The only known chlorella side effects are nausea, upset stomach (possibly due to an inability to digest the cellulose wall, in which case supplementing with a digestive enzyme that contains cellulase might help) and the possibility of developing a high uric acid content in the blood which can lead to problems such as gout or arthritis etc. This is due to the high RNA content which when metabolized turns into uric acid. The human body needs a certain amount of uric acid to function but too much of it causes uric acid crystals to form in the joints. People who get gout are often overeating many high purine foods such as organ meats, sardines, game meats, sweatbreads, large amounts of any animal based foods and more (purines like those in RNA break down into uric acid). You'd have to eat excessive amounts of chlorella, spirulina and other microalgae on a daily basis to exceed your body's uric acid needs. Most people following the living food diet aren't eating excessive amounts of meat anyway, and don't need to worry about this. The chlorella facts tell us that a good daily dosage is approximately 5 grams. If you are using it to clear out accumulated toxins you can go as high as 10 grams a day for quite awhile. The other problem you might experience with chlorella is if you go on it too fast it has a tendency to help you evacuate your bowels quite thoroughly. This is because it pulls water into the colon. As with any new food you are trying out for the first time, start with a smaller dosage and work upwards. On that note, is is great for constipation! In conclusion, another great reason the chlorella facts have shown us to consume this super-food is that it has an alkalizing effect on the body due to its high content of alkaline minerals. Minerals such as calcium and magnesium make chlorella, spirulina and blue green algae amazing foods for people who need a diet high in protein but who don't want to experience the debilitating effects of consuming very acidifying animal products in excess (or at all!). The health benefits of chlorella seem to be never-ending, but what can you expect from such amazing algae-based live superfoods? Click to return from "chlorella facts" to the "live superfoods" page. (NaturalNews) Chlorophyll is the green pigment in plants responsible for absorbing the light necessary for photosynthesis. It is often considered to be the "blood" of plants, since it comprises the basic physiology of the plant and is required for their basic metabolic functions, such as growth and respiration. While most land plants contain chlorophyll to some degree, those with the deepest green colors contain the greatest concentrations of it. Though humans cannot photosynthesize and therefore cannot use chlorophyll in the same manner that plants do, studies show that chlorophyll is still a powerful phytonutrient that can benefit our health when consumed in whole food or supplement form. Boosts blood health - Since 1911, scientists have known that the molecular structure of chlorophyll is almost identical to that of hemoglobin in humans - the only difference is that hemoglobin is attached to the metallic ion of iron, while chlorophyll is attached to the metallic ion of magnesium. Consequently, chlorophyll acts like hemoglobin in our bodies, increasing oxygenation and nutrient delivery to our cells. This unique activity is responsible for chlorophyll's well-known blood building and cleansing properties. Protects against disease - Chlorophyll is a potent antioxidant, and emerging evidence suggests that it can help shield us from serious medical conditions. For example, a study published in the journal Food & Nutrition Sciences in 2013 discovered that chlorophyll (along with pheophytin, a chlorophyll molecule lacking a central magnesium ion) could "prevent oxidative DNA damage and lipid peroxidation" in a dose-dependent manner. Additionally, research compiled by Dr. George S. Bailey of Ohio State University showed that volunteers who took 100 milligrams of dietary chlorophyllin thrice daily experienced an impressive 55 percent reduction in "urinary aflatoxin exposure biomarker" when compared to the control group, suggesting that chlorophyll supplements could help halve the risk of liver disease among people exposed to high levels of aflatoxin (a natural carcinogen produced by certain parasitic molds). Chelates heavy metals - It's not a coincidence that many foods that chelate heavy metals from the body, such as cilantro and chlorella, also happen to be packed with chlorophyll. According to research published in the Global Advanced Research Journal of Environmental Science and Toxicology, chlorophyll has a porphyrin ring that functions as a natural chelating agent. ​Additionally, "[t]he middle of chlorophyll is magnesium," writes the authors, "which is freed under acidic conditions, allowing other heavy metals to bind in its place." For this reason, adding more chlorophyll-rich foods to our diets is a great way to prevent heavy metal toxicity, which is a big problem in today's polluted world. Other health benefits associated with chlorophyll include improved body odor, treatment for anti-inflammatory conditions and, due to its magnesium content, relief from nervousness and high blood pressure. As a general rule, the greener the plant, the more chlorophyll it contains. Therefore, deep green herbs and vegetables, such as kale, parsley, cilantro, spinach, chard and broccoli, are some of the best dietary sources of chlorophyll. Algae, such as spirulinaand chlorella, and sea vegetables, such as kelp and nori, are also rich in it. Arguably the greatest source of all, however, is wheatgrass juice, which is comprised of approximately 70 percent chlorophyll - as well as a huge number of other health-boosting phytonutrients. Chlorophyll tablets, and they have all been positive. Chlorophyll can re-start hair growth, even in advanced balding. ​states that he felt the bristling of new brown hairs growing in after taking Chlorophyll. In addition, natural hair restoration always begins with dark green vegetables. They are loaded with chlorophyll. What About The Ultimate Meal? In my opinion, the Living Fuel Rx Super Greens product is far superior to The Ultimate Meal (for many reasons which I don't have time to go into right here). Did you enjoy this article? I wrote it in response to the reader survey results. If you participated in that recent survey, thanks for your participation! I'll keep working to bring you more of the information you're looking for, such as product reviews and recommendations. We remain the internet's top independent natural health news site that sells no nutritional products and takes no money from nutritional product companies. We are truly independent in our recommendations, which is why over one million unique readers a month now turn to NaturalNews.com to learn about natural solutions for staying healthy! ​Do you know how much exposure you have with the heavy metals daily and how they are affecting your health? Mercury, aluminum, and cadmium are some of the heavy metals that have the power to implant themselves in our bones and nervous system. When too much accumulation of these metals takes place in the body we suffer from major diseases like cancer, heart problems, lung and kidney diseases, weak bones, brain deterioration and emotional instability. The only answer to this problem is chelation therapy. Chelating agents are powerful enough to bind themselves with the toxic ions of heavy metal and then expel them from the body through the excretory system. One of the most commonly used medication for chelation therapy is 2.3 - Dimercaprol, which is used for removing arsenic and lead from the body, but this medication comes with some adverse side effects.